When a colleague says he would rather "hide my head in a bag" than agree with something you've written, how can you possibly face each other the next day? U.S. Supreme Court Justice Antonin Scalia said those words about Justice Anthony Kennedy's landmark opinion in Obergefell v. Hodges on Friday. 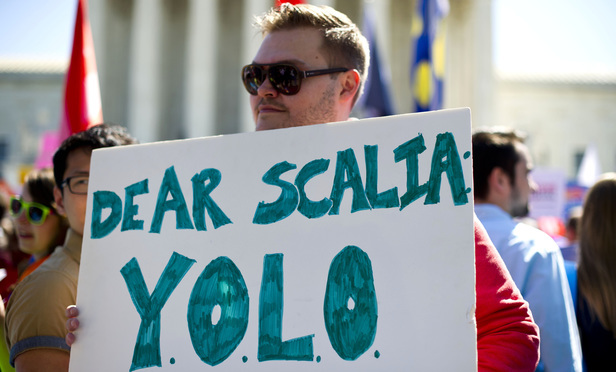 What law clerks and justices have called Scalia's "nastygrams" are not new. But he has fired off enough of them in recent weeks, targeting conservative allies and liberal foes alike, that some may wonder how the justices can possibly work together.